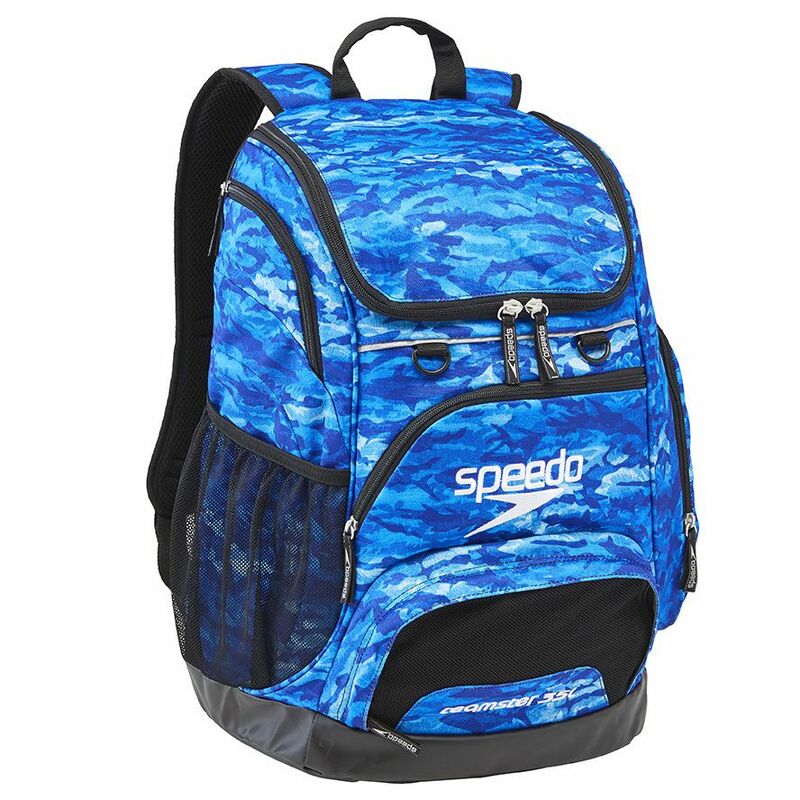 Our iconic 35L “swimmer’s go-to” backpack. 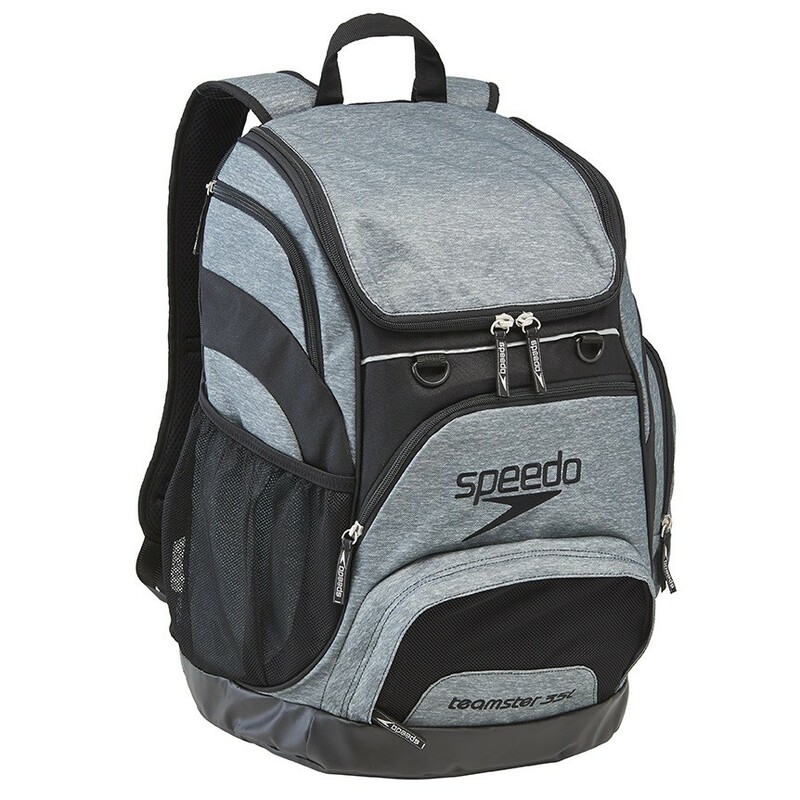 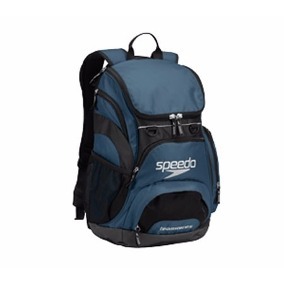 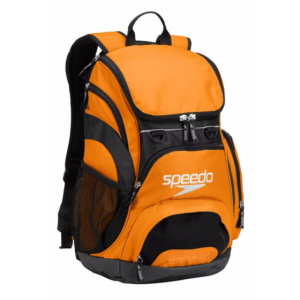 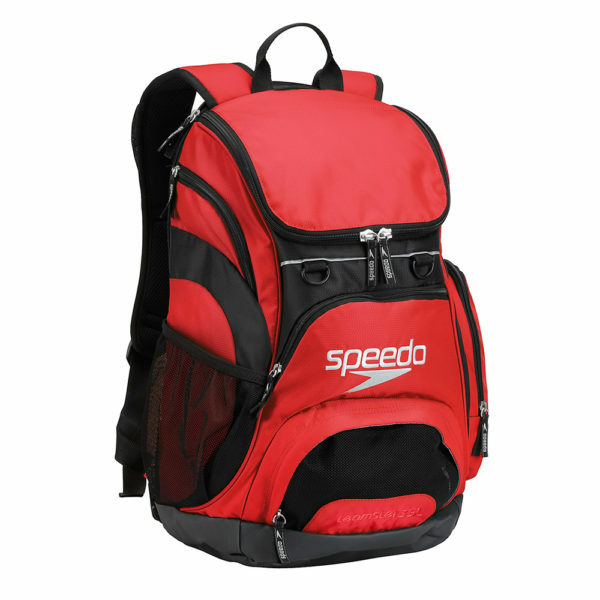 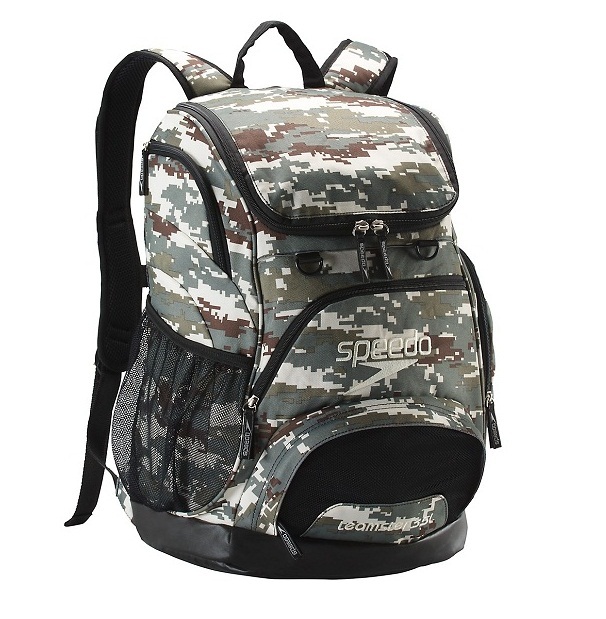 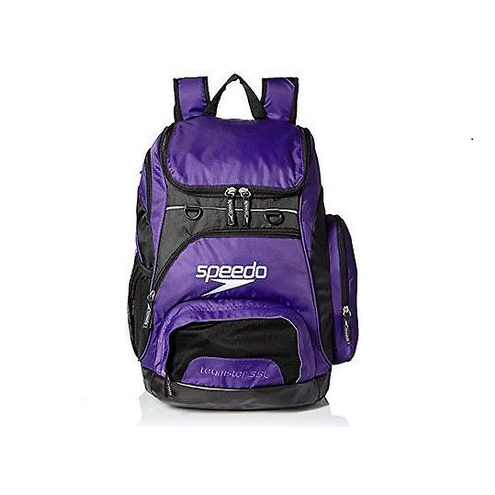 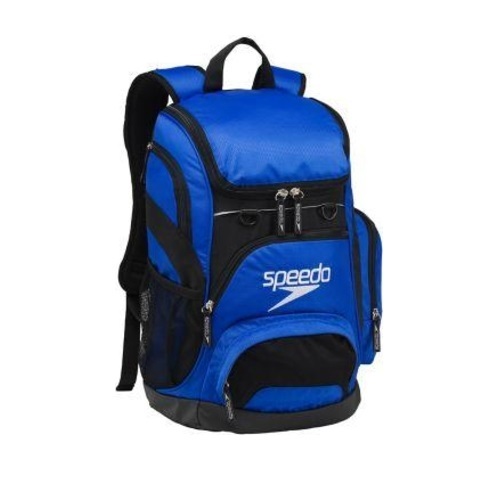 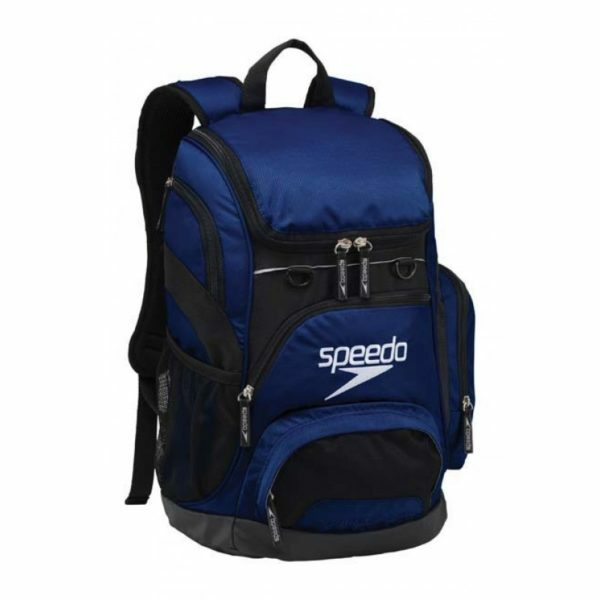 Classic shape and styling of the Speedo® Team Pro backpack with new and improved materials, and a quality addition, like an offset raised laptop sleeve to protect corners. 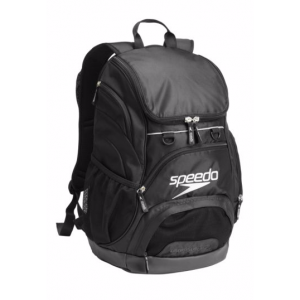 Removable dirt bag™ keeps wet and dirty items away from electronics and clean clothes. 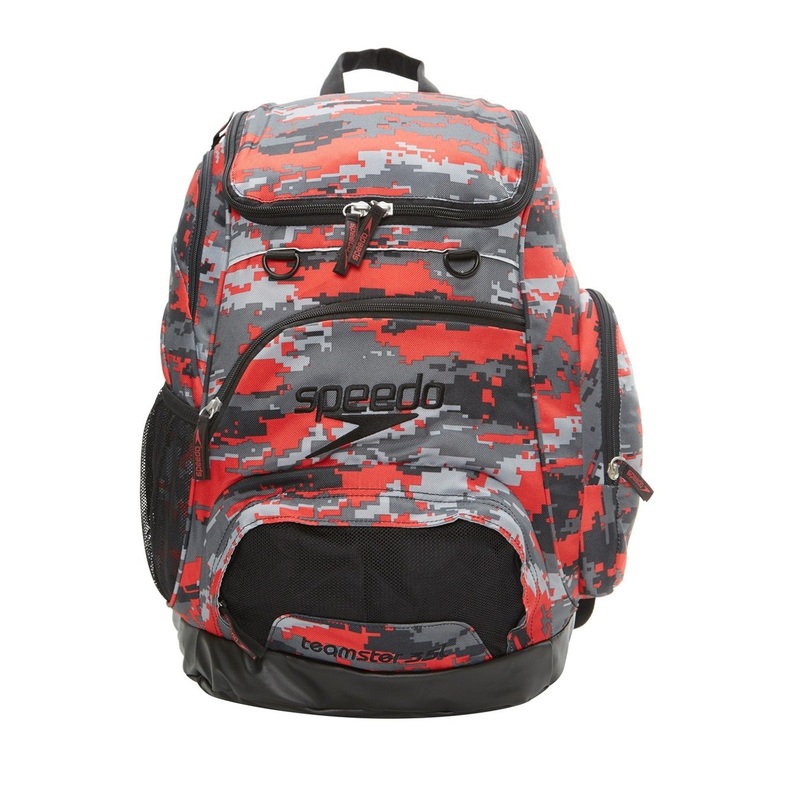 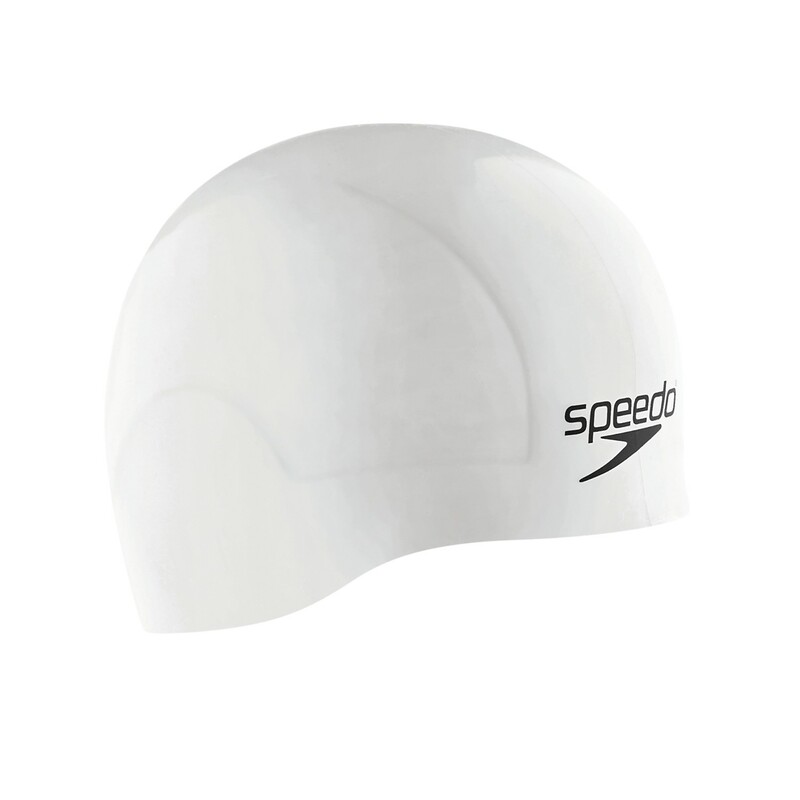 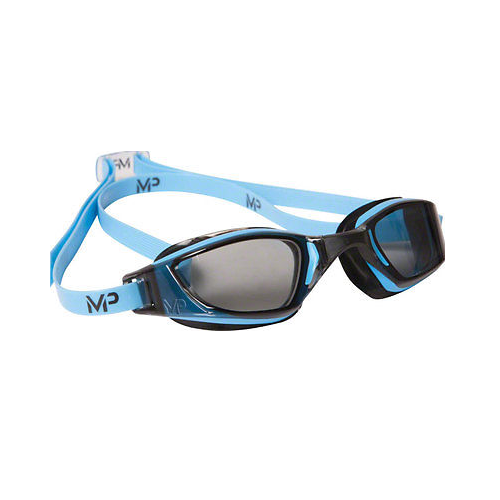 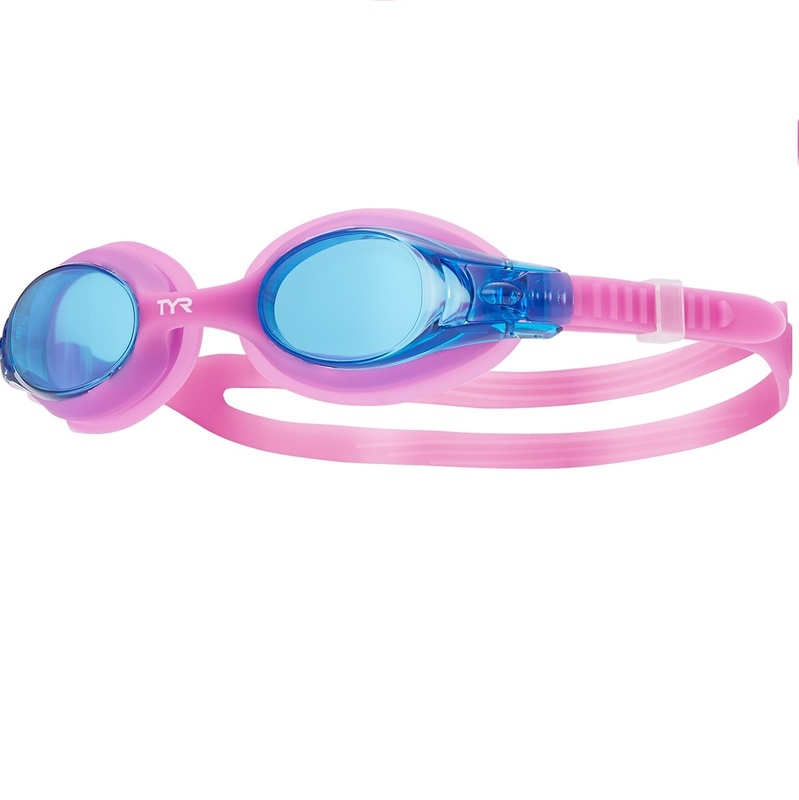 Durable exterior shell is built tough with abrasion resistance for demanding athletes. 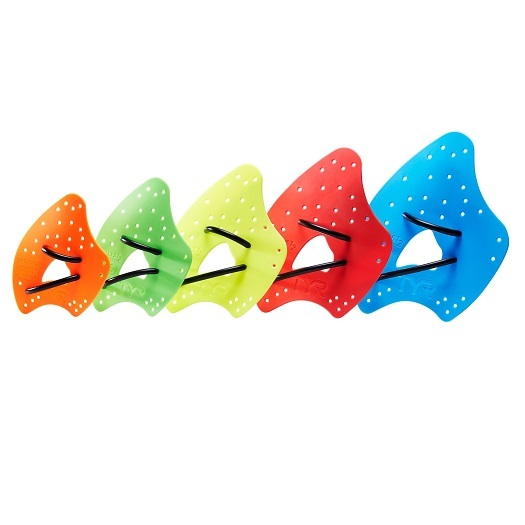 Primary zippers are highest quality YKK® zippers. Every swimmer, from swim team to masters, knows that their go-to pack for towels, toys and togs is the Speedo® team pack. 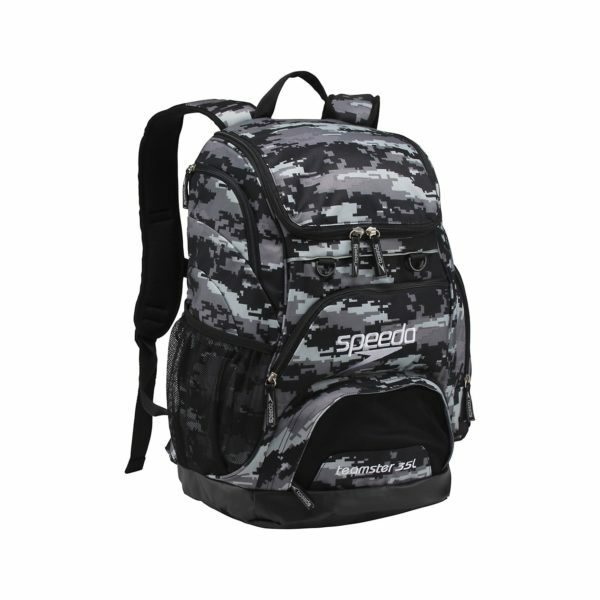 Highly durable and with a feature set that is built with an athlete’s needs in mind, these packs are tireless workhorses that set the bar high and become trusted friends. 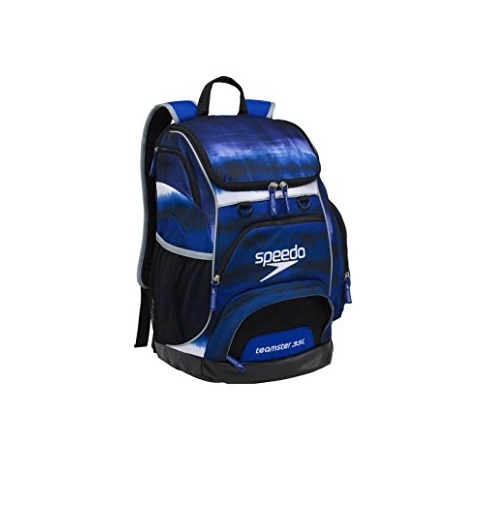 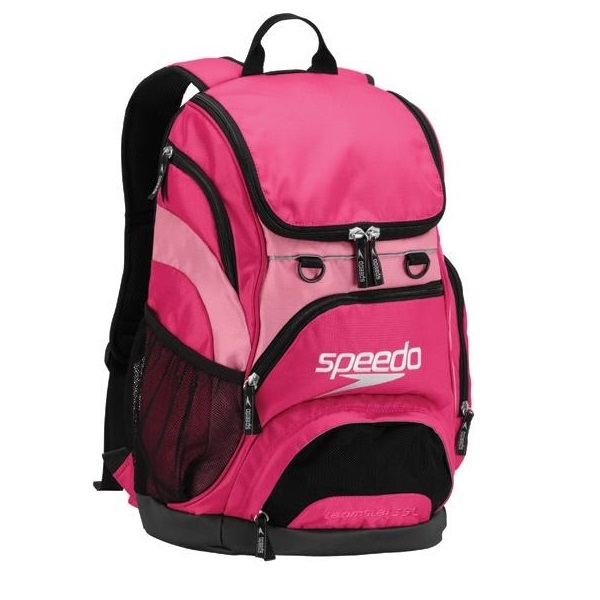 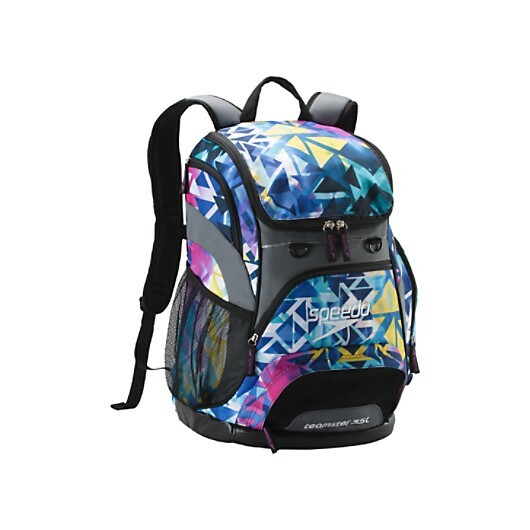 With the explosive growth of swim, and our increasing obsession with all things water, combined with the need to carry ever more complex assortments of gear and electronics to class, to the gym, and as we travel, Speedo® meets this challenge with a complete line of back to school oriented daypacks that offer a fresh athletic twist to the world of packs. 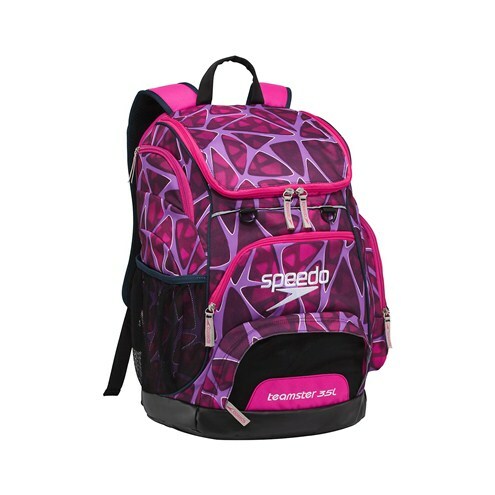 Building in electronics and media oriented organization, durabale materials selections, high-quality buckles and trims, and aquatic features that are driven and driven by technology and usability, but are built to a desirability index that is off the charts.